A slim and minimalist design is the main feature of this bi-fold business cards case, an ideal leather accessory for professionals. 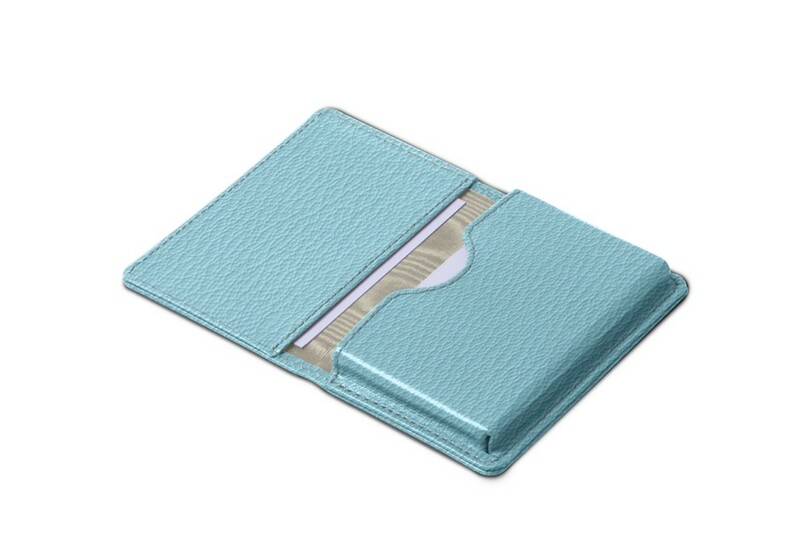 A pocket with a gusset of 1 cm allows you to insert around 25-30 visiting cards and another flat pocket of credit card format is proposed on the back of the flap. 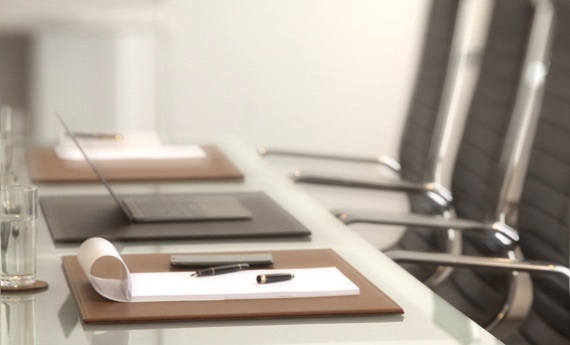 You can slip in receipts, your credit card or some additional business cards. 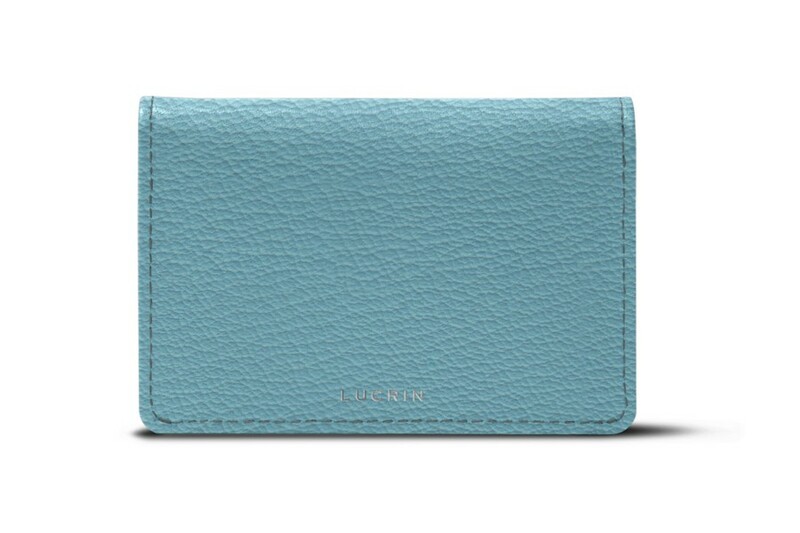 Thanks to its minimalist format, it is relatively easy to carry around, in your bag or your pocket. 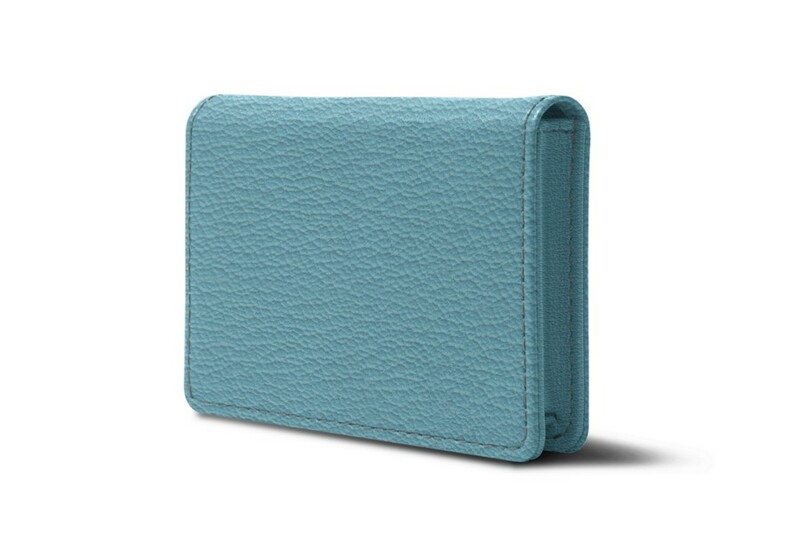 It gives a sure touch of elegance and confidence to all those who use it, and you can even customize this leather business cards holder in the leather and colour that suit you best.